Is it something that you value when buying goods or services? What about when it comes to your qualities, how would you define your qualities? 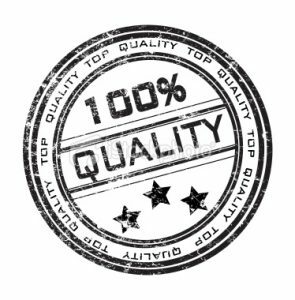 Quality when used as either an adjective or a noun pertains to excellence or value. I once had the opportunity to listen to a speaker present who was extremely intelligent and very much a self-described introvert. Making it look easy is the sign of a true professional. So many of us watch professional athletes or musicians and gawk at the amazing ease at which they perform and yet we never see the years of hard work, the 10,000 hours of practice, or the countless hours in the gym. We never really see the blood, sweat, and tears it took to get to the point of making it look … easy. So what about you? What profession are you in and what qualities are you working on? Are you working on those qualities so hard that when people see you at your craft they say … you make it look … so easy! PreviousPrevious post:Purpose: Are You Being Called to Play a Bigger Game?NextNext post:Goodwill Hunting?